Yaninee was a fairly typical Eyre Peninsula siding, with very rudimentary facilities. One feature was the crossover in the middle of the siding, retained when the siding was extended. This occurred at a number of locations on Eyre Peninsula. 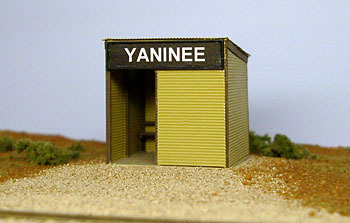 Like many smaller Eyre Peninsula sidings, no station building was provided at Yaninee. Instead, a shelter shed built to a standard design was provided. This contained just a bench seat for the odd passenger, and a shelf and 'desk' for train crews. The shed is built to the actual SAR plans. 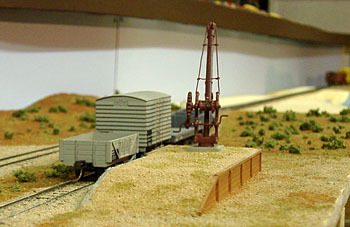 The yard crane was heavily modified from a Sentinel kit, adapted to represent the Yaninee crane. This was a standard SAR design apart from the jib. No general goods shed was ever provided at Yaninee, just a loading bank. 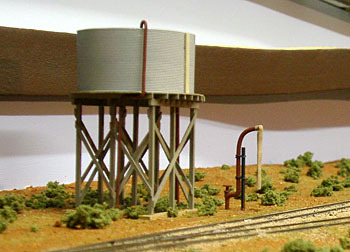 The water tower was built using the kit supplied by the SAR Model Company. 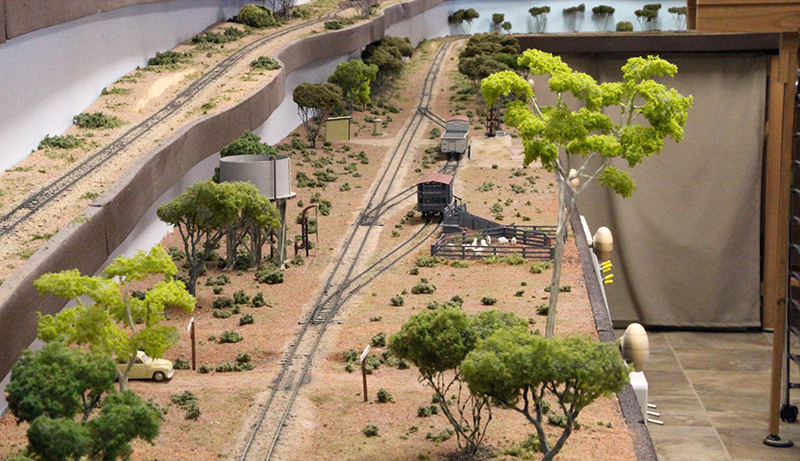 Together with its associated water column (scratchbuilt), it graces the down end of Yaninee yard. 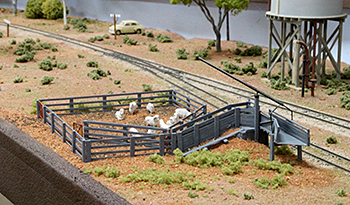 The livestock yard was scratchbuilt from styrene, and is based on the yard which once existed at Yaninee. It is a combined sheep, cattle and pigs facility, common on Eyre Peninsula. It features a swing ramp which is moved aside (as seen in the photo) for side loading cattle vans, or swung into place for end loading sheep vans.